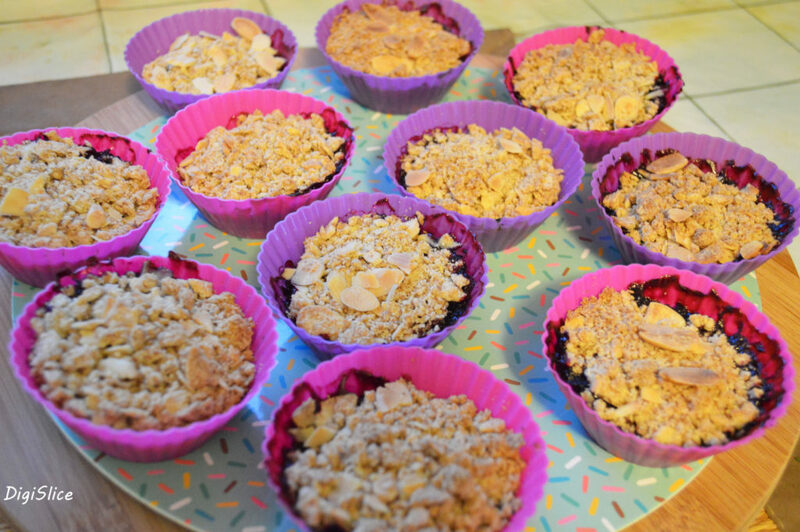 Today we’re going to make a dessert of British origin… with a vegan twist! I’ve been following Marco Bianchi – an Italian chef/scientist – for a while and I really love his food blog so I decided to test, and then translate, this delicious recipe for you. In the original recipe, Marco uses 6 apricots but you can use any fruit, like berries, apples or peaches. Consider that an average apricot weights 35gr. 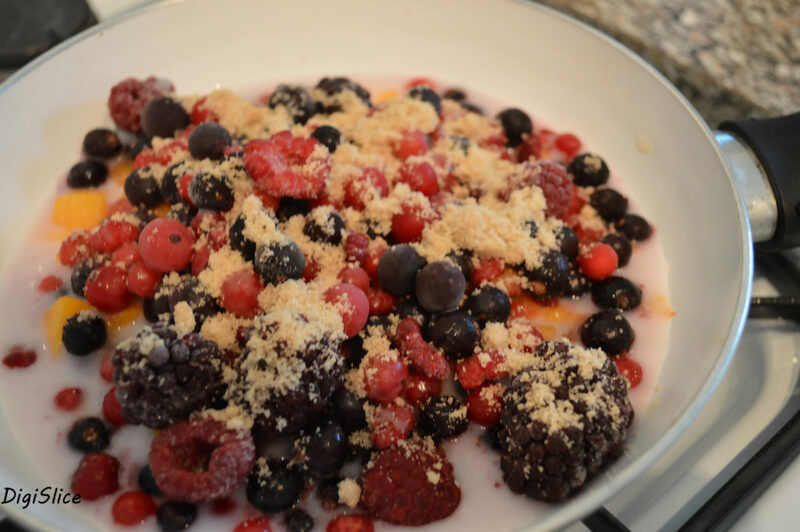 For the filling, add the berries, some milk and 25g sugar to a pan and sauté for about 20 minutes. 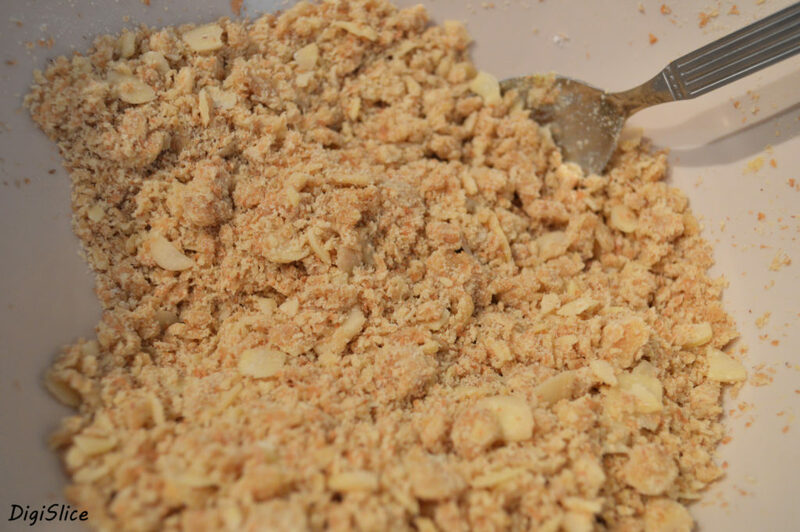 For the topping, mix flours, 25g sugar and flaked almonds in a medium bowl. 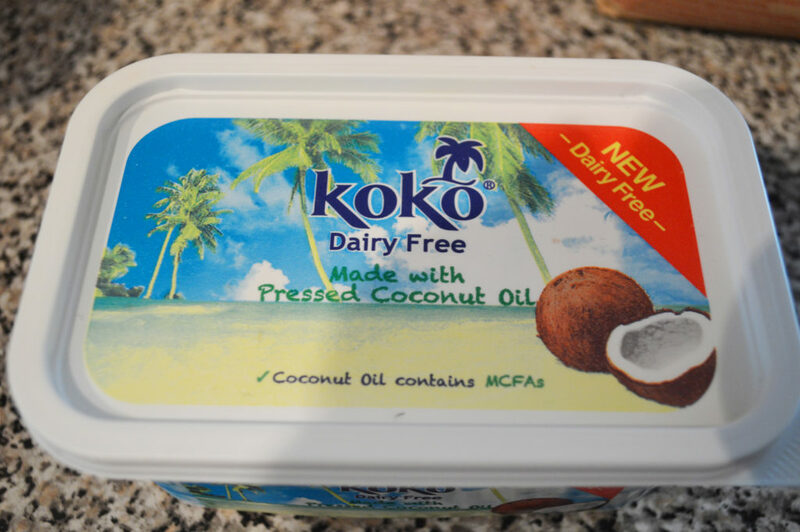 Add melted vegan butter, using your hands to crumble it into the dry ingredients until you reach a ‘wet sand’ consistency. Portion the filling into a muffin tin, add a generous amount of topping, and bake for 20 minutes, or until the top is golden and the filling is bubbly. 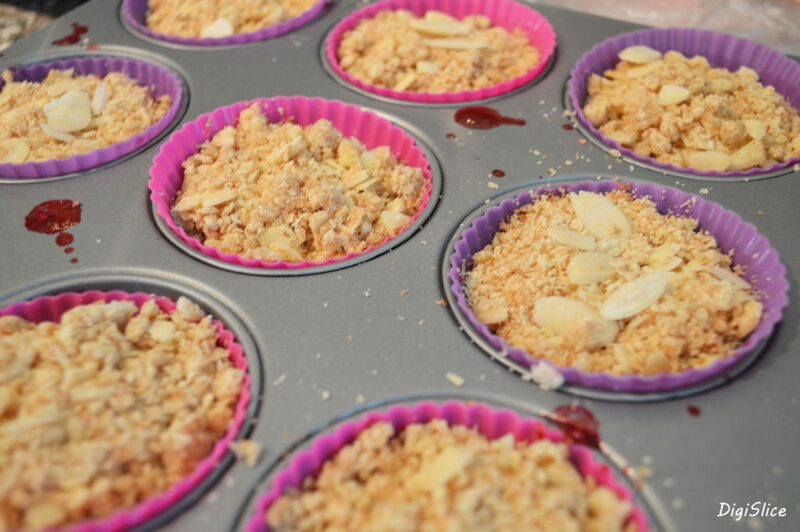 Serve your mini crumble on its own or add some nice cream on the side and enjoy! 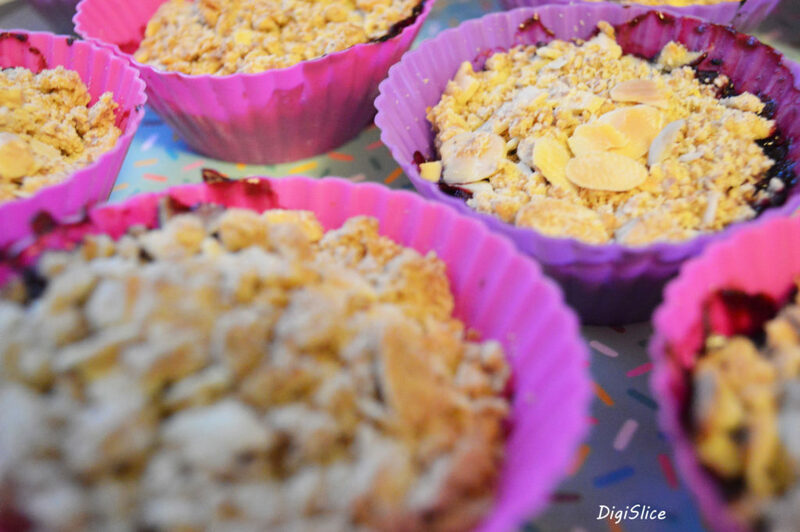 This entry was posted in Food and tagged baking, berry, crumble, dessert, food photography, healthy, vegan. Bookmark the permalink.